In this in-depth chat, Naked and Afraid star Rylie Parlett talks about her decision to do the show, what it was like being on it and what her life has been like since the episode aired. We spoke to Hynden Walch about what it was like to be on the set of Groundhog Day and Jerry Maguire, why she thinks acting schools are overrated and how she brings characters like Starfire and Princess Bubblegum to life. 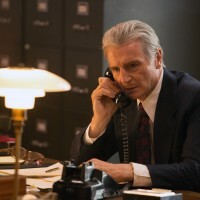 We recently talked to writer/director Peter Landesman and Liam Neeson about their new film, Mark Felt: The Man Who Brought Down the White House, at an intimate press conference held this past week in Los Angeles. Today we bring you the audio from that press conference.